Apologies were received from co-opted member Colin Powell. The minutes were AGREED as an accurate record of the meeting. Matter arising – Councillors Owen Pritchard and Paul Kohler visited Mitcham Police Station and confirmed that the number of car parking spaces was 45 as reported to the Commission by the Borough Commander. 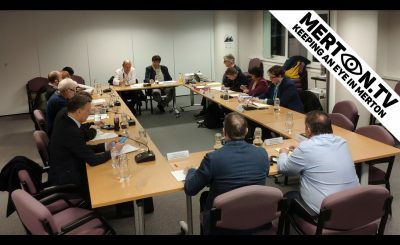 To discuss and comment on the Cabinet report and to take into account the scrutiny work carried out by Councillor Carl Quilliam (verbal update). The report was introduced by John Dimmer, Head of Policy, Strategy and Partnerships. He emphasised that, given how fast moving these issues are, it is therefore difficult to assess just what the exact impact of Brexit will be. He said that a “no deal” scenario would be the most difficult in terms of contingency planning because of the uncertainty. John Dimmer outlined the approach that the council was taking in planning for Brexit and drew the Commission’s attention to work being undertaken by officers as set out in the report. Caroline Holland, Director of Corporate Services, added that Cabinet had agreed the proposed approach for how the council can support EU residents, particularly those in hard to reach and vulnerable groups, with information and support to secure their rights around settled status. the issue should be brought to councillors’ attention so that they can encourage EU residents within their wards to apply for settled status. Caroline Holland, Director of Corporate Services, introduced the report which sets out the council’s approach to the target operating model (TOM) and emerging themes from the most recent refresh. In response to a question about the extent to which there was an element of challenge, Caroline Holland explained that the Directors, of whom two were new to Merton, provide challenge to each other’s TOMs. She added that the model is getting stronger with each iteration and that outcomes were being used more effectively than previously. Members also asked questions about the process and timetable for producing a refreshed Community Plan and suggested that the Commission would use its annual scrutiny of Merton Partnership’s Annual Report to inform members more fully on what the local strategic partnership is doing and what impact it is having. Caroline Holland, Director of Corporate Services, drew the Commission’s attention to the complexities and uncertainties about the basis on which the pool may continue and the implications that this has for the council’s medium term financial strategy. She reassured members that the situation is being kept under review so that Merton’s income stream can be maximised. Business rates are set by the government. The council has discretionary business rate relief scheme to reduce the level of business rates under certain circumstances which are set out on the council’s website. Caroline Holland said that she was in favour of remaining in the London pool as long as it continued to be of financial benefit to Merton. Members AGREED to take this item and agenda item 8 together. Caroline Holland, Director of Corporate Services, introduced the report and explained the current assumptions on inflation, council tax collection and grants that underpin the medium term financial strategy. She drew the Commission’s attention to the predicted budget gap in future years and the savings targets that had been set for council departments. She added that the October proposals would be going back to Cabinet for approval now that the equality assessments were available. In response to questions about the size of the budget gap , Caroline Holland said that the prediction was a realistic one, albeit cautious in respect of adult social care funding. The estimate will be re-adjusted if that funding continues. The additional income from the business rates pool is regarded as a one-off and therefore not built in to future years. Caroline Holland added that she continued to challenge officers about items in the capital programme with a view to reducing the impact on the revenue budget. 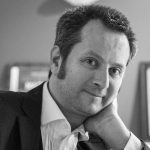 Councillor Mark Allison, Deputy Leader and Cabinet Member for Finance, added that Merton was not alone in facing a large budget gap and that some other London authorities were in a worse and more pressing financial situation. In response to a question, the Director of Corporate Services said she would check if this would be applied on a pro-rata basis. The Director explained that the £10 charge applied to the full three year period for which the Blue Badge is valid. She undertook to provide detail of the total number of applications and the number that were successful. The Commission RESOLVED to endorse these proposed savings. The Chair of the Sustainable Communities Overview and Scrutiny Panel, Councillor Laxmi Attawar, introduced the reference from the Panel on page 186. The Director of Corporate Services alerted the Commission to the fact that any increase in the number of street trees would attract an associated maintenance cost. 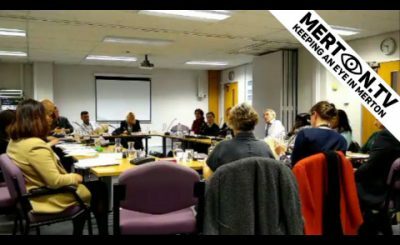 The Chair of the Children and Young People Overview and Scrutiny Panel, Councillor Sally Kenny, said that the Panel had raised concerns about the impact that cuts in services would have on vulnerable young people. The Panel noted that there were a growing number of referrals across children’s services nationally, including safeguarding and special educational needs, and the Panel have concerns about the impact this may have locally. The Chair of the Healthier Communities and Older People Panel, Councillor Peter McCabe, said that the Panel heard concerns expressed by disability groups in the borough about the impact that the proposed savings would have in the medium term upon people who are already at a disadvantage. The Panel felt a great deal of sympathy but were also aware of the extent of the predicted budget gap and the need to make savings. The Commission RESOLVED to forward to Cabinet the reference from the Sustainable Communities Panel and the comments made by the other two Panels. The Commission further RESOLVED to express disappointment that Cabinet was not further advanced in identifying proposed savings for future years. However the Commission also recognised the difficult situation that Cabinet faces in relation to the size of the budget gap. Members asked a number of questions to clarify the purpose of a number of items on the capital programme. The Director of Corporate Services confirmed that the allocation for the Housing Company would be reviewed once the business case has been updated, so that monies may be slipped into the following year. See minute for agenda item 7. Julia Regan, Head of Democracy Services, introduced the report. She said that the young people and councillors who participated in the event had all found it useful and enjoyable and that the report set out the process, discussion and outcomes. Councillor Peter Southgate said that one of the benefits of the exercise had been hearing the different perspectives that young people brought to the issue of personal safety. Members welcomed the joint scrutiny exercise and agreed that they would like to actively involve young people in future scrutiny work. Julia Regan said she would discuss this with the Participation Manager and bring suggestions to a future meeting of the Commission. In the meantime the Youth Parliament have asked to be involved in the work of the task group on children’s mental health and this is being taken forward by the Scrutiny Officer. The Commission made two suggestions for consideration by the Youth Parliament. Firstly, to include fire cadets and other youth groups in the recommendation on police cadets attending events. Secondly, to consider the role that school governors may be able to take in supporting the recommendations made by the Youth Parliament. 2. to receive a further report with proposals to involve the Youth Parliament more in scrutiny panel and task group work in future. The Commission RESOLVED to agree the work programme as set out in the report. A Ravensbury resident fed up with mistakes being made at council meetings, my local Councillor preferring to complete a Sudoku Puzzle rather than listen to comments made at a scrutiny meeting, not having an accurate record of council meetings. Merton Council needs transparency to expose the childish behaviour, and blind party loyalty from our elected members. 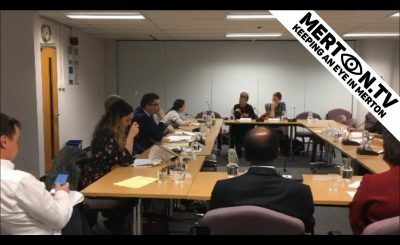 I have setup this website and will do my best to make as many council meetings accessible for ALL. With the help from other committed residents of our borough, we can keep a close eye on Merton.